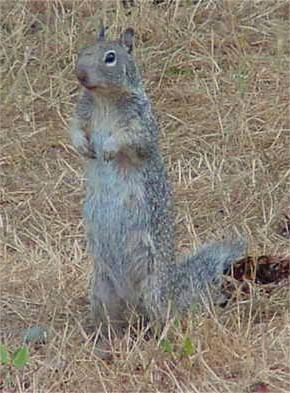 Do you have a ranch in San Benito County or Monterey County with ground squirrels? I'm doing a study looking at the economic impacts of ground squirrels to ranching operations and I'm looking for three ranches to be study sites. At each ranch, I will need to have 4, plots. Each plot will be one acre. One plot should have no squirrels, one plot should have low density squirrels, one plot should have medium density squirrels, and one plot should have high density squirrels. The plots will need to be flat so I can see the entire plot from one location. Ideally, all 4 plots would be in the same field so they have the same level of cattle grazing. Also, plots need to be at sites where squirrels were not controlled this year. Please let me know if you (or anyone you know) have a ranch fits the bill. In terms of field work, I would come to the ranch for 3-4 days in a row in May. I would count squirrels in the morning and then estimate forage production and bare ground, including taking some forage clippings. Then I'd count squirrels again in the afternoon. I would put out 8 small marking flags at each plot so I can see the boundary of the plots. I will need to start doing field work on May 6, which is coming up fast! So, I'm hoping to have all the ranches (or at least one or two) figured out by then. Eek! 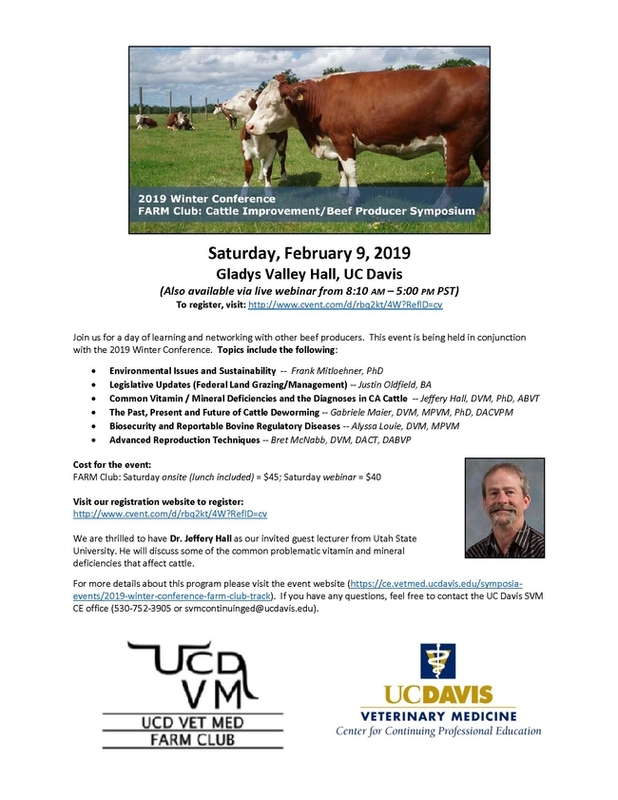 If you or anyone you know is interested, please contact me at drorao@ucanr.edu or 831-637-5346 x14. Over the past couple years, I have received many questions from ranchers and also from landowners with small (1 to 10-acre) parcels who want to seed their fields. They want to know what to seed, how to seed, and where to get seed. This article has information I have gathered over the past couple years to try to answer those questions and more. Stay tuned for Seeding Part 2: To Seed or Not to Seed. Part 2 will focus on whether seeding makes economic sense for your situation. Prevent erosion in high use areas or after a fire. Provide forage for wildlife, like deer, elk, and quail. Rehabilitate a dryland horse pasture that has been severely grazed for many years. Create or rehab an irrigated pasture for horses, cattle, sheep, or goats. This will depend on your goals, soils, precipitation, budget, and potential for irrigation, among other things. Usually a dryland pasture mix will be a good bet to get some seed in the ground at a reasonable cost. Locally, dryland pasture mixes typically contain grasses, such as annual ryegrass, orchard grass, and maybe a brome, fescue, oat or barley. They may also have legumes, like clovers, medics, and vetches to provide higher levels of protein. Locally available dryland pasture seed mixes will tend to do better at sites with more than 20 inches of rainfall (George, pers. comm.). It's good to have multiple legume varieties in your mix because different varieties are adapted to different soil conditions (George and Davy 2016). Also, different varieties will mature at different times throughout the growing season, which can extend the green forage season. 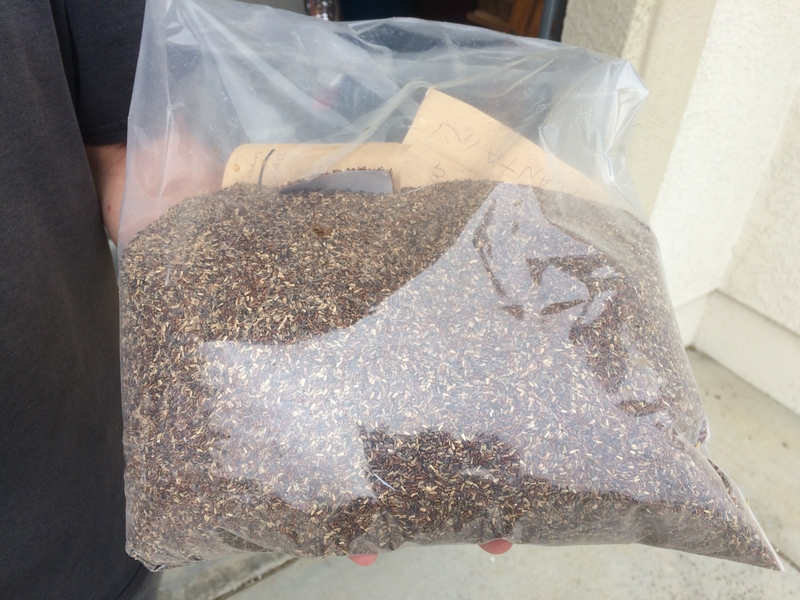 The NRCS office in Santa Cruz County recommends rose clover, creeping red fescue, zorro annual fescue, & Blando brome for erosion prevention. The Livestock & Land Program additionally recommends annual ryegrass, and crimson clover (Shanks and Moore 2001). They also recommend two native species: California poppy and arroyo lupine. Researchers in Tehama County found that annual ryegrass and soft brome were good short-term options to compete with medusahead and yellow starthistle (Davy et al. 2017). Average annual rainfall at the study sites is nearly 23 inches, although during the 5-year study period, rainfall ranged from 13 to 24 inches. The following perennials provided longer-term competition with the target weeds: Flecha tall fescue, hardinggrass (Perla koleagrass, Holdfast, Advanced AT) and Berber orchardgrass. Rainfall on many ranches on the Central Coast have lower rainfall than the Tehama County site, making establishment of perennial grasses more difficult. It may be valuable to seed a plant that has a similar life strategy to the weed you are trying to control. The seeded species will therefore have similar water, soil, and light requirements as the weed making it more difficult for the weed to access those resources. A Monterey County rancher I know likes to seed rye, vetch, oats, barley, and wheat for wildlife. He plows the land before seeding and has had good success. Similar to #1 above, dryland horse pasture seed mixes will typically have a mix of annual ryegrass, orchardgrass, and brome grasses. Some will have clovers in addition to grasses. Irrigated pastures are less common on the Central Coast than in northern California or the Sierra foothills. We do have some small-scale irrigated pastures, more typically for horses than other grazing animals. UCCE put together a great publication called Establishing and Managing Irrigated Pasture for Horses (Davy et al. 2012). This resource recommends a few cool season grasses: fescue, perennial ryegrass, and orchardgrass. They also recommend the following warm season grasses: dallisgrass, bermudagrass, Kikuyugrass. White clover, trefoil or strawberry clover may be seeded to provide additional protein, but horses will prefer grass. Pastures with more than 10-15% cover of clovers may cause health problems in horses. The Livestock and Land Program recommends perennial ryegrass, blando brome, subclover, and rose clover, in addition to some of the species listed above (Shanks and Moore 2001). Irrigated Pastures in California is an old UCANR publication (Jones and Brown 1942). It still has valuable information on irrigated pastures, including a breakdown of seeding recommendations by county: https://ucanr.edu/sites/UCCE_LR/files/180467.pdf. Elkhorn Slough National Estuarine Research Reserve is experimenting with seeding Meadow barley (Hordeum brachyantherum), California brome (Bromus carinatus), Needle grasses (Stipa sp. ), Blue wildrye (Elymus glaucus), Coast tarweed (Madia sativa), Yarrow (Achillea millefolium), and Lupines. They are still in the experimental stage and do not yet have results. Native seed is substantially more expensive than a typical forage mix, so cost should be considered in your decision to seed with natives. Restoration Manual for Annual Grassland Systems in California is a valuable publication that describes how to prepare a site for seeding natives; which native species are likely to be successful at your site; and different revegetation techniques (Gornish and Shaw 2017): https://anrcatalog.ucanr.edu/pdf/8575.pdf. Appendix A is particularly useful. It offers a recommended species list based on your region, restoration goal, and soil type. A brief description of each species, along with pros and cons of using that species, are also included in the body of the manual. This publication has information about seeding native plants after a fire (Gornish, undated): http://cecentralsierra.ucanr.edu/files/224726.pdf. Perennial v. annual grasses: Perennial grasses tend to have higher success on the coast. So, if your ranch is inland, you may want a smaller amount of perennial grass seed, or none at all. Rainfall: Seeding success will be strongly associated with timing and amount of rainfall. It's best to get seed in the ground in October or early November, before temperatures drop (George and Davy 2016). If temperatures drop before fall germinating rains, then it's best to wait and seed the next year. Several legume varieties (clover, vetch, and medic) require 15 inches of rainfall or more for a successful seeding. Although some clover varieties require as little as 10 inches of rain per year. Areas with 20 inches of rainfall or more will tend to have a higher likelihood of successful seeding (George, pers. comm.). Seeding method: Broadcast seeding is likely to be less successful since seeds are at the soil surface and are easily accessible by birds and other seed eating animals. Broadcast seeding followed by covering the seeds with a rake or a harrow will improve chances of success. Using a seed drill will be even better, particularly for perennial grasses. Vegetation cover: If there is vegetation cover the seeds will have a better growing environment than if there is bare ground. Frost heaving can cause damage to seedlings (Biswell et al. 1953). Heady (1956) found that when soil was covered by Residual Dry Matter (RDM or natural mulch/old feed), frost heaving did not occur. In contrast, frost heaving did occur in areas with no RDM (bare ground). Heady (1956) summarized the literature, saying that a layer of RDM reduces evaporation, maintains a more stable soil temperature, increases organic matter / fertility, and improves water infiltration, which undoubtedly influences seedling success. Soil: Soil nutrients are important for plant growth. For example, clovers require sulfur and phosphorus (George and Davy 2016). If your soils are lacking in these nutrients, then clovers may not grow well. Soils also need to have specific bacteria for clovers to grow. Most soils lack these bacteria, so clover seed needs to be inoculated with the appropriate bacteria to be successful. Weed control: Controlling weeds before and after seeding is critical to the success of your seed application. Usually this is done with herbicide, but can be done manually, mechanically, or with grazing for organic fields, or fields where herbicide is undesirable. The second most important factor in successful perennial grass seeding behind rainfall, is controlling weeds before seeding (George and Davy 2016). Establishing and Managing Irrigated Pasture for Horses has detailed information about how to prepare a seed bed, including weed management, for irrigated pasture seeding (Davy et al. 2012): https://anrcatalog.ucanr.edu/pdf/8486.pdf. The following seeding methods come from George and Davy (2016). Here's a link to the publication with more detailed instructions: http://rangelandarchive.ucdavis.edu/files/252899.pdf. Clovers (see page 208):Broadcast or drill seed. Make sure about ½ inch of soil covers the seed. Seeding rate is typically 10-20 lbs./acre. If broadcast seeding, cover seed using a ring roller or harrow. Seeding before fall rains in October or November gives better success than waiting until December. As noted earlier, if germinating rains come late, after the weather cools down, it's best to wait until the next year to seed. Annual grasses (see page 209): Seeding options are the same for clovers. 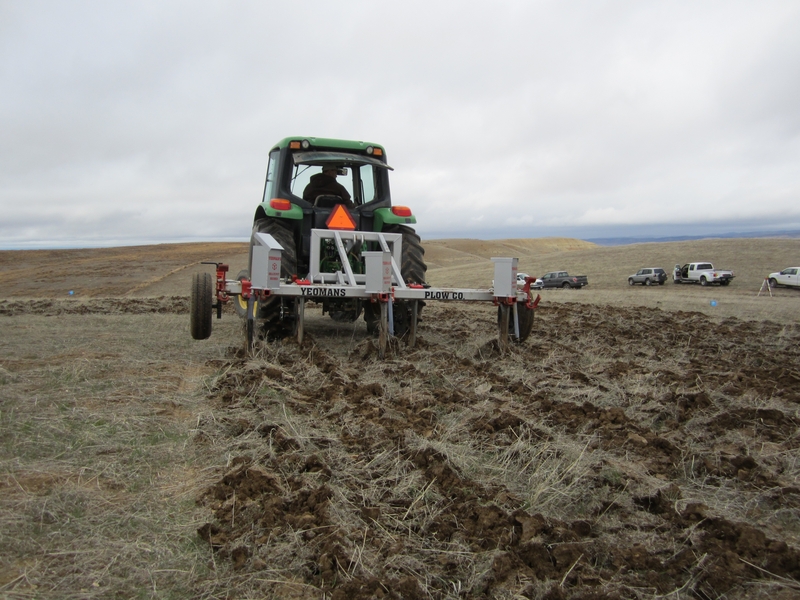 However, drill seeding should be done using a grassland or rangeland drill. The area to be seeded should not have bare ground. It should have some RDM (i.e. natural mulch/old feed), but it should be grazed fairly close to the ground. If broadcast seeding, first lightly disk or harrow the soil down to 1 inch deep. Cover the seed by gently rolling or dragging a harrow. Seeding rate is typically 5-10 lbs./acre. Perennial grasses (see page 210): During the spring prior to seeding, use a nonselective herbicide to control grass and broadleaf weeds. During the following fall, spray again with a nonselective herbicide after germination. Then, drill seed to a maximum of ¼ inch right after spraying. In early spring after the newly seeded grasses come up, spray with a broadleaf-specific herbicide to control non-grass weeds. The authors recommend excluding grazing for 2-3 years, until the grasses are established and cannot be pulled up by livestock. For long-term management, they recommend grazing during winter to mid-spring and again in summer. Clovers: Don't exclude cattle from fields seeded with clover. If there's no grazing during the first spring after clover seeding, grasses may grow tall and outcompete the lower-statured clovers. Annual Grasses: You don't need to exclude cattle from areas seeded with annual grasses. Although, if you are concerned about establishment, you may want to exclude livestock for a month or two to let them establish. Perennial Grasses: There are different schools of thought on whether or not to graze perennial grasses during the first year after seeding. George and Davy (2016) suggest that you should not graze for 2-3 years after seeding perennial grasses. This will allow the perennial grasses to establish. A local expert recommended that since so many weeds may come up after you seed, you want to graze the first spring after seeding for weed control. Seeded Range Plants for California recommends that grazing should be excluded until the first summer after seeding, when grasses are big enough that livestock can't pull them out of the ground (George et al. 1983). However, they can be grazed earlier, during the first spring after seeding, if needed for weed control. This publication also recommends not grazing the perennial grasses below 3-4 inches. This is not a comprehensive list and I do not recommend any one seed company over another. This list is intended to provide you with some local and online options, that I am familiar with, for purchasing seed. If you have other seeding questions, let me know! You can contact me at drorao@ucanr.edu or 831-637-5346 x14. Biswell, H.H., Schultz, A.M. and Hedrick, D.W., 1953. Frost heaving of grass and brush seedlings on burned chamise brushlands in California. Journal of Range Management, 6(3), pp.172-180. Last accessed 12/21/2018, https://journals.uair.arizona.edu/index.php/jrm/article/download/4539/4150. Davy, J., Becchetti, T., Lile, D., Fulton, A. and Giraud, D., 2012. Establishing and Managing Irrigated Pasture for Horses. University of California, Agriculture and Natural Resources. Last accessed 12/21/2018, https://anrcatalog.ucanr.edu/pdf/8486.pdf. Davy, J., Dykier, K., Turri, T. and Gornish, E., 2017. Forage seeding in rangelands increases production and prevents weed invasion. California Agriculture, 71(4), pp.239-248. Last accessed 12/21/2018, http://calag.ucanr.edu/Archive/?article=ca.2017a0025. George, M. R. 2018. Personal communication, 12/21/2018. Mel George is University of California Cooperative Extension Rangeland Specialist, Emeritus. George M. R. and J. Davy. 2016. Chapter 9 Vegetation Management in Ecology and Management of Annual Rangelands. UCANR. Last accessed 12/21/2018, http://rangelandarchive.ucdavis.edu/files/252899.pdf. George, M. R., T. E. Adams, and W. J. Clawson. 1983. Seeded Range Plants for California. UC DANR CE Leaflet 21344. 23p. Last accessed 12/21/2018, https://ucanr.edu/repository/fileaccess.cfm?article=157322&p=QBCCIW. Systems in Central California. University of California Agriculture and Natural Resources. Last accessed 12/21/2018, http://cecentralsierra.ucanr.edu/files/224726.pdf. Gornish, E. S. and J. Shaw. 2017. Restoration Manual for Annual Grassland Systems in California. University of California Agriculture and Natural Resources. ANR Publication 8575. Last accessed 12/21/2018, https://ucanr.edu/sites/BayAreaRangeland/files/267610.pdf. Heady, H.F., 1956. Changes in a California annual plant community induced by manipulation of natural mulch. Ecology, 37(4), pp.798-812. Last accessed 12/21/2018, https://www.jstor.org/stable/1933071?seq=14#metadata_info_tab_contents. Jones, B. J. and J. B. Brown. 1942. Irrigated Pastures in California. California Agricultural Extension Service Circular 125. The College of Agriculture, University of California, Berkeley, California. Last accessed 12/21/2018, https://ucanr.edu/sites/UCCE_LR/files/180467.pdf.